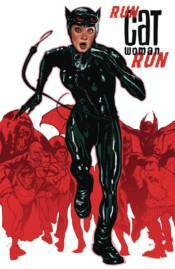 With everything crumbling around her, Selina Kyle must carefully rebuild her secret identity to protect her new daughter and her friends. But after being thrown off the planet with all the super-villains, Catwoman must claw her way back to Earth and reality for the sake of everything she holds dear! Collects CATWOMAN #66-83.